You know the drill. Often times a luxury brand will announce some special collaboration to save the children, or save the world, or something, and more often than not, it actually becomes an opportunity to sell even more merchandise with only a small percentage of the profits going to the charity or cause. Which is why I’m definitely all for Loewe’s new campaign with Knot On My Planet, because they are really clear about it. 100%. Yes, 100% of all sales proceeds generated from the sale of the limited edition Mini Elephant Bag will be donated to the Elephant Crisis Fund for them to prevent trafficking, stop poaching and hopefully end the demand for ivory. Along with KNOP global ambassador Doutzen Kroes, you can follow this link to find out more about the cause and how the bags are finished with intricate beadwork created by Samburu Trust women from northern Kenya. Priced at SGD2290, you can also buy this bag online now (yes, even if you’re in Singapore) and really make a difference towards the cause. Plus, can I just add, that the bag is really totes adorable too? 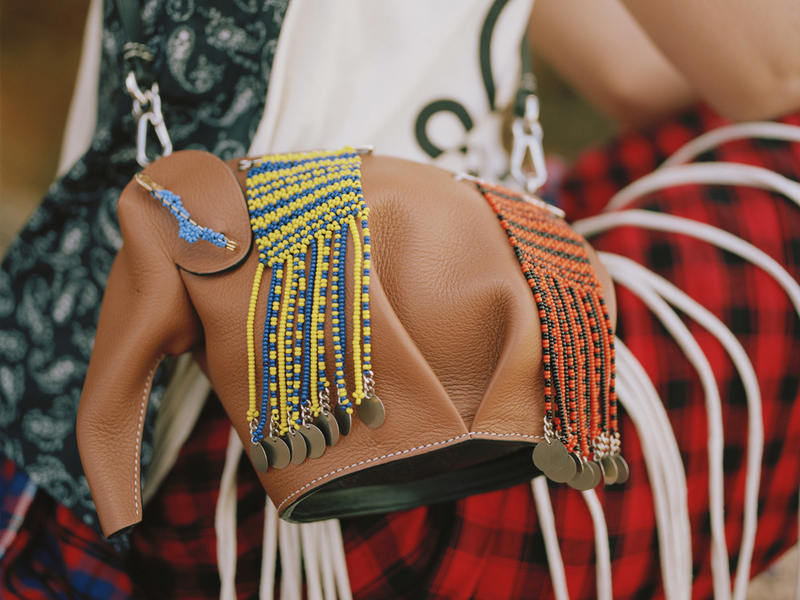 Good for Loewe, good for the elephants and good for the world!!! LOL! Does this mean you are getting one for yourself too?